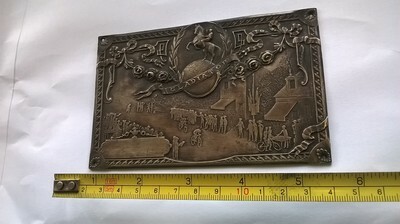 ​Check out our new section of vintage stuff. Many of these items have come our way over the years. We will be closed between 6th - 21st February. 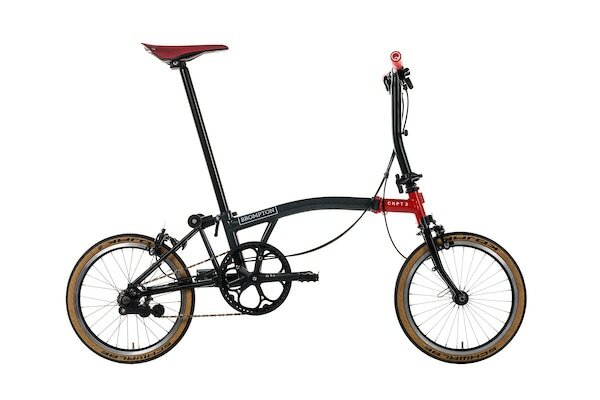 Now in stock - Spring Prices. 4 bags in the range. 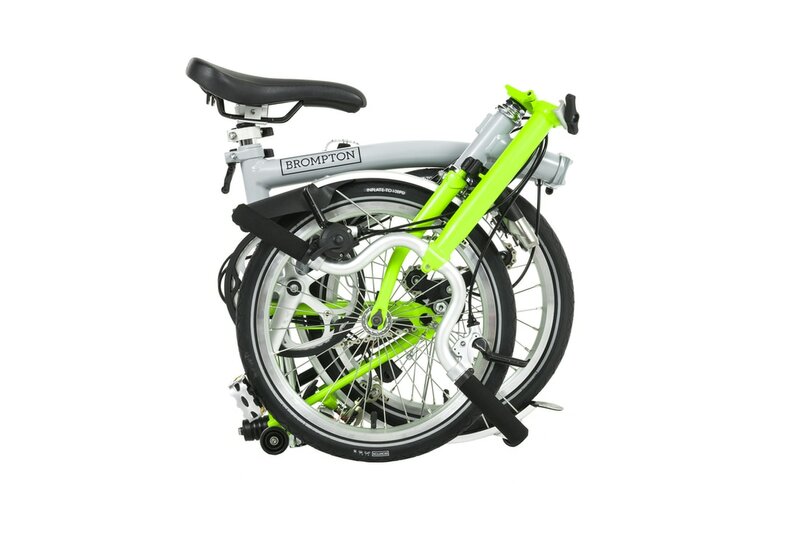 New 2018 specification BROMPTONS now in stock. 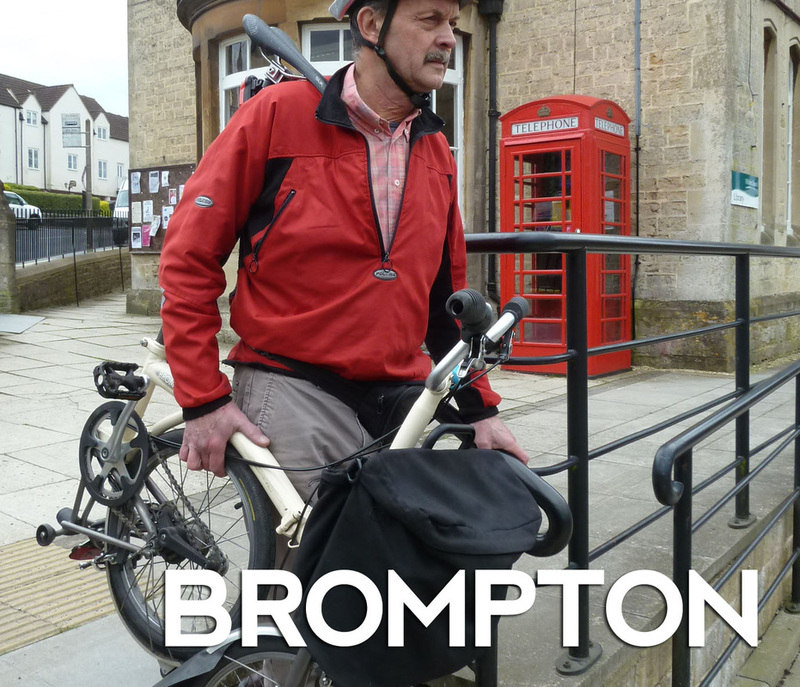 We keep several BROMPTONS for demonstration, 3 types of handlebar, 3 types of gear. Providing weather is dry we welcome test rides. ROBINSON | Built to your spec. Note: we have each of these models for demonstration in store. 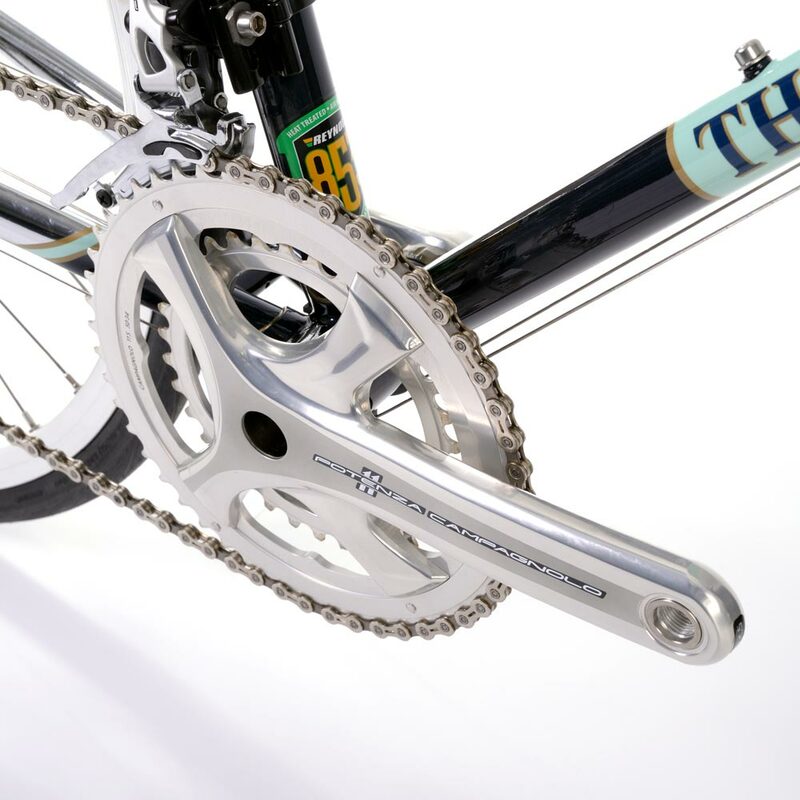 The LIGHT BLUE bicycles feature REYNOLDS crome-moly frame tubes. 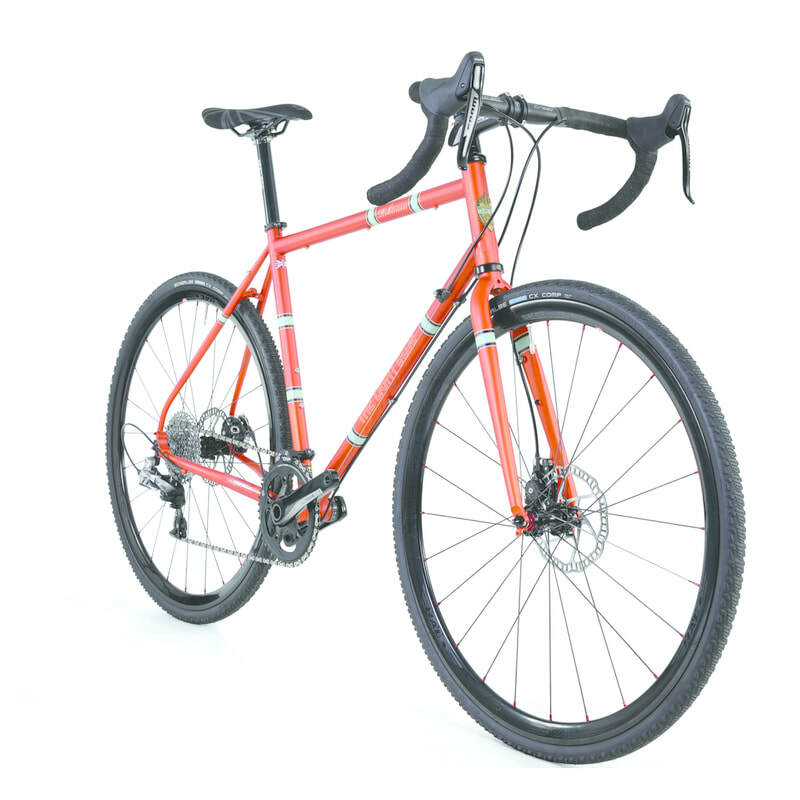 REYNOLDS Technology has been making superb bicycle tubing for decades. The LIGHT BLUE bicycles are rigid, comfortable and durable. Adjustable drop outs and wider choice of tyre sizes make these bikes extremely versatile. 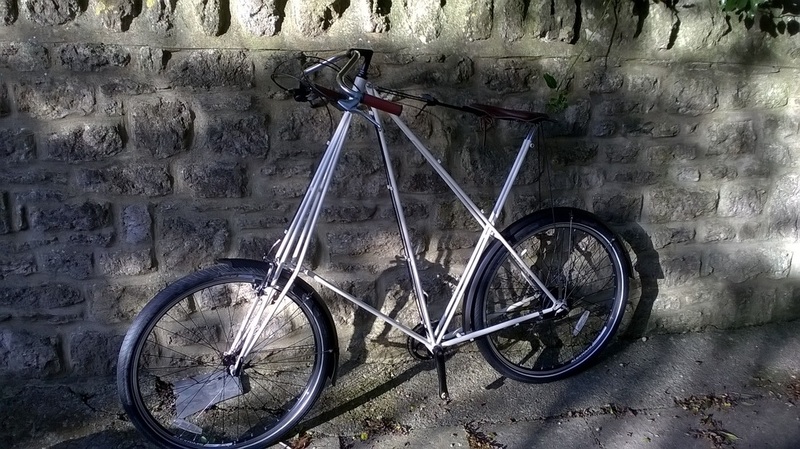 Also sold as frame and fork kit. New for 2018 - CAMBIUM ALL WEATHER. 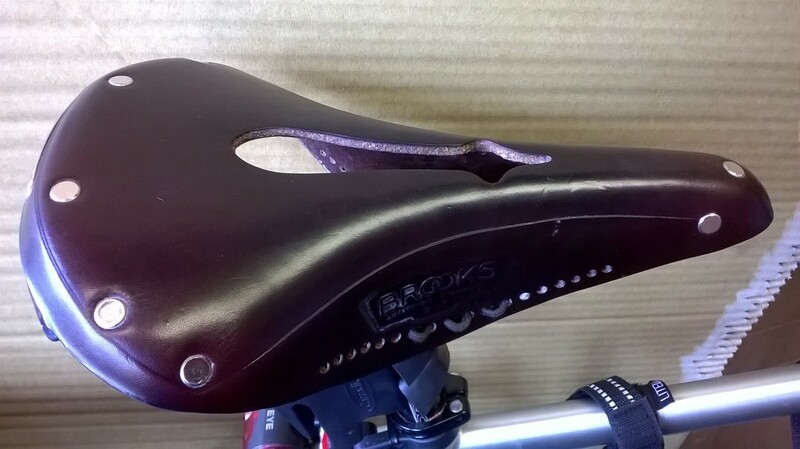 We are now stockist of BROOKS saddles. These saddles will provide a soul to any bike. Made in Birmingham with a wide choice of models. 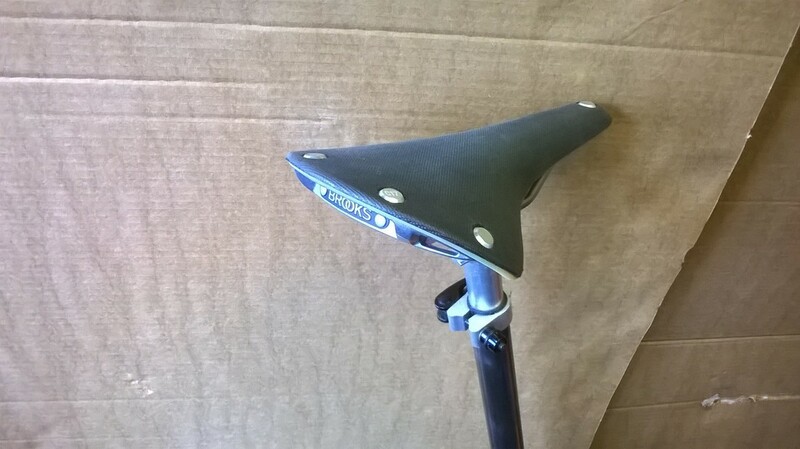 The CAMBIUM is the latest edition to the range, Maintenance free. See in store for stocking in offers. 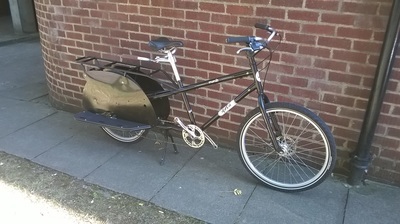 We recently spec'd & built a double XL Pedersen for a chap 6 foot 9 inches. (don't mess with him) These bikes come in 5 frame sizes, suitable for people between 5 foot and 7 foot. Maybe we can help each other? If you have something to sell, we can act as your showroom, sell it for you and take a commission. Particular interest is badges, signs, brochures, owners manuals. If it's of interest to us, we may buy it. Call for details. We get asked to help and repair some unusual things. 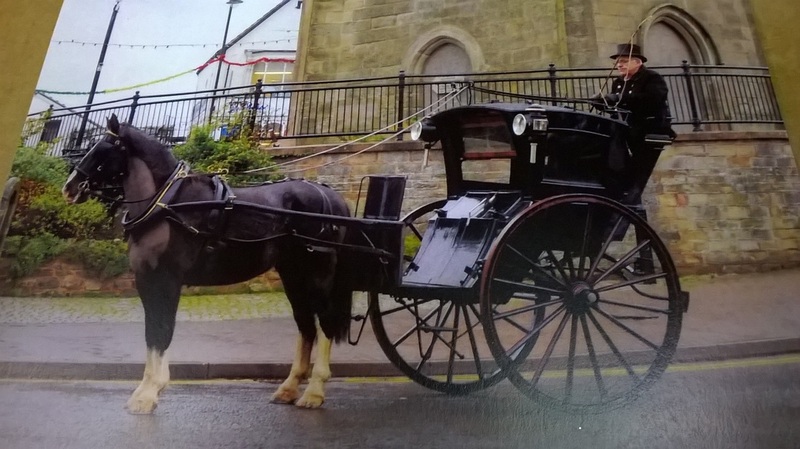 This year we helped with the restoration of this HANSOM CAB. We supplied KMC chain to allow the driver to operate the doors. The driver would not open the doors until paid. No such thing as a free ride! Enhanced braking with ceramic fibre, reducing heat. 70% Ceramic fibre insulates brake system from heat build up. Extreme temperature or weather will not affect the brake pads. ﻿Tired of going round in circles? 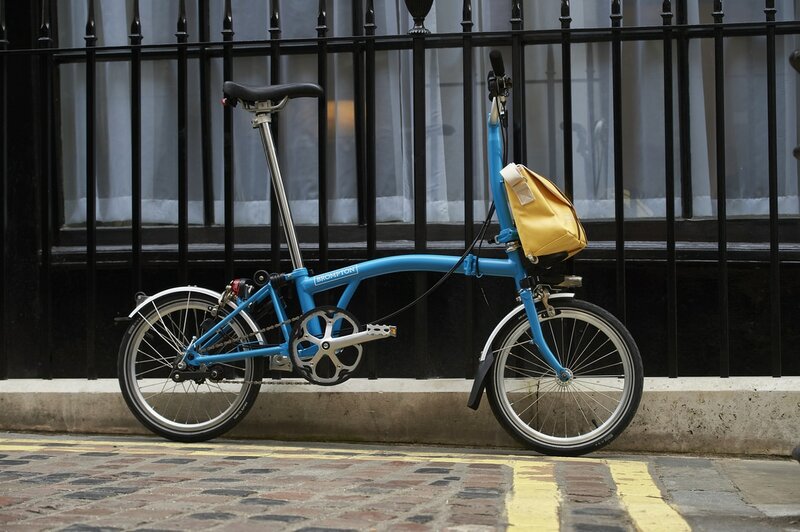 Brompton Folding Bike - Let us show you how it works and help you buy the right model. 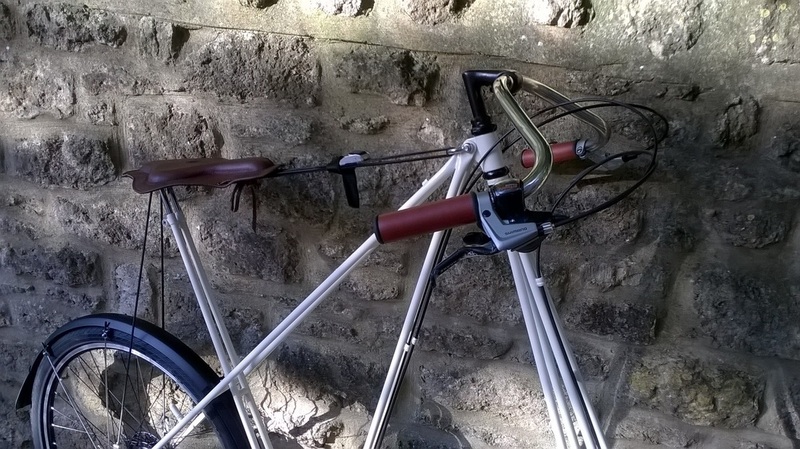 Dawes Heritage, hybrid and commuting bikes. 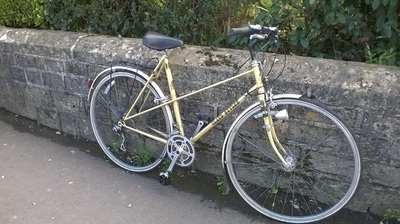 Pedersen frame, fork and saddle built to order. A range of used bikes - not at this time.